Diaper change can often tend to be a messy affair, but he will be potty-trained in a matter of months! Till then Mee Mee's Caring Baby Wet Wipes are a handy way to keep your baby refreshed and clean. Non-toxic and hypoallergenic, the wipes are entirely safe for everyday use. Regular wipe-down with a diaper change keeps your baby fresh and comfortable which means uninterrupted happy moods! Made of spunlace and non-woven fabric, Mee Mee's Caring Baby Wet Wipes are thick to make cleaning up easy and efficient. Enriched with the goodness of aloe vera and lemon, these wipes moisturise as they clean. 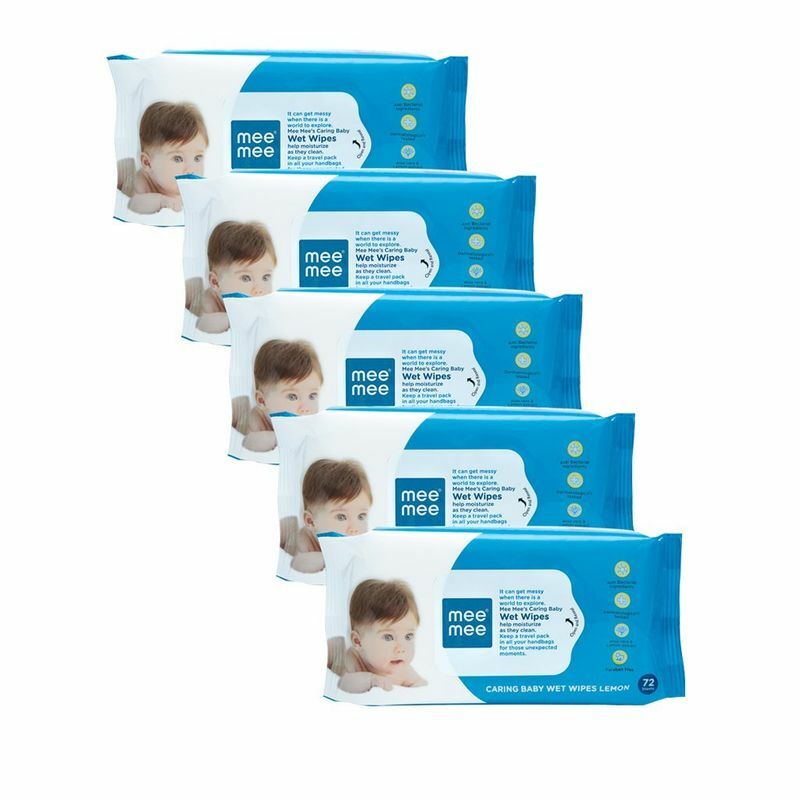 100 pecent bacteria and alcohol free, Mee Mee's Caring Baby Wet Wipes are manufactured as per the international norms of safety and hygiene to deliver only the best for your baby. Hypoallergenic and alcohol-free and gentle on your baby's skin.